"Responsive" websites are designed as a single site that displays well on all types of devices -- desktop browsers, tablets, and smart phones. 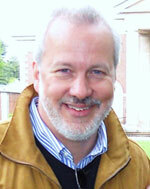 Responsive sites adapt themselves to the size of screen the user has in order to display well on that screen. They are a good choice for clients who primarily need a mobile website, and where support for tablets or browser is needed but secondary. 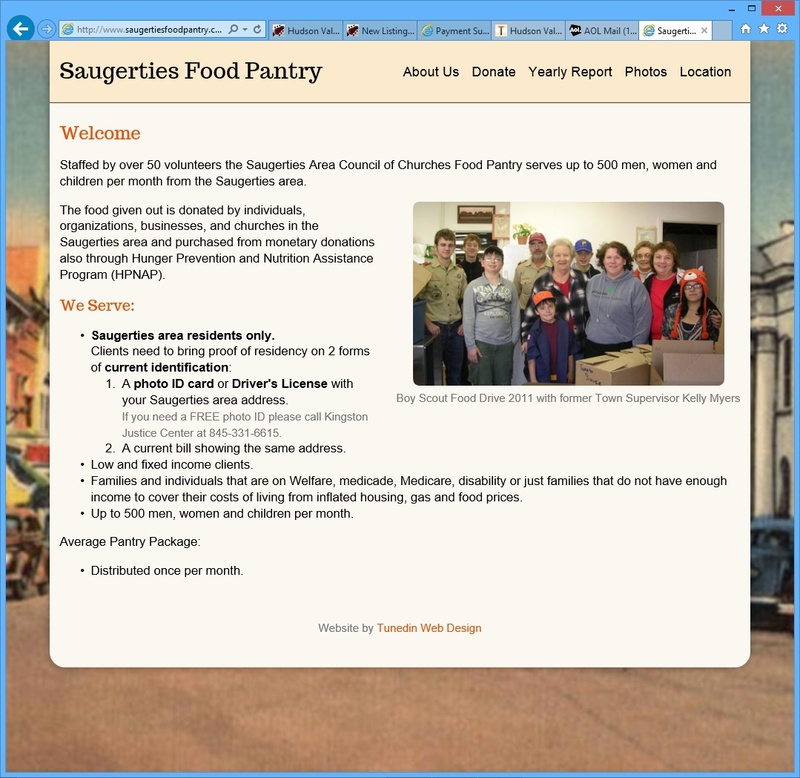 We have recently build a fully responsive website for a Hudson Valley client -- The Saugerties Food Pantry. This client needed primarily a mobile site to serve it's clients, who would be accessing the site mostly via mobile devices. This is a very simple website, so it's a good example to use to see the elements of the design that respond to the screen size. Website as seen on a desktop browser. Website as seen on an iPad. Website as seen on an iPhone. We started with a "mobile-first" design approach. This is where we design the site for mobile, and then add on support for tablets and desktop browsers -- quite different than the "normal" approach of designing the desktop website and then adapting it to mobile. Simplified design. Notice there are no extra graphics included, or space wasted, in the mobile versions. We streamline the design of the mobile site, showing the user only what they absolutely need, and taking up no extra space. Large fonts. Large enough to make it easy to read their content. Compressed navigation. On the mobile and tablet versions the navigation menu is compressed into a single button (the three lines icon.) Push that and a menu appears. For more information on mobile websites, read my blog series "Mobile and You", and contact us to talk about a mobile website that fits your needs.